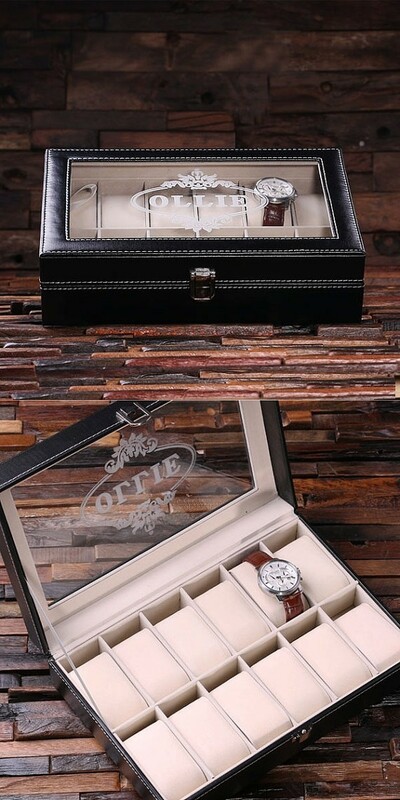 This handsome black vegan-leather watch box hold 12 watches and features white contrast stitching, a snap closure, and a glass lid that may be engraved with a name or custom text line inside the pictured oval crest design. PLEASE NOTE: Pictured contents are not included. Better yet, this wonderful gift now enjoys FREE SHIPPING in the U.S.